Latest is coming from PCB that Fakhar Zaman despite his good performance in last test matches has not been selected for the Test squad against New Zealand. Meanwhile, Muhammad Amir is ignored yet again. PCB media release said that Shadab Khan is given rest as well. To my surprise, uncapped and untested Shahin Afridi and Saad Ali are selected in the squad. Besides all this nothing has been changed. Opener Imam is selected for the test squad. That means his medical follow-up was nothing serious besides a precautionary checkup. As you know Fakhar Zaman is not able to take place in this test squad that will give a good chance to Muhammad Hafiz to consolidate his position. If Muhammad Hafeez shows good performance that will give more credibility to his experience and skills he can offer to green caps. Chief selector Inzimam Ul Haq has decided to select Shaheen Afridi for his recent performance in T20 and ODI series against New Zealand. Saad Ali is rewarded for his consistent domestic performance. How To Watch Pakistan vs New Zealand Test Match? 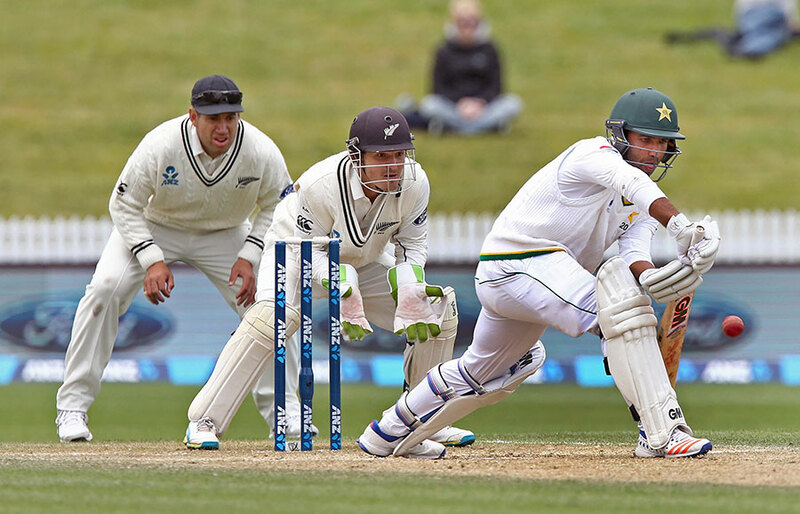 You can watch Pakistan vs New Zealand test match on Fox Sports New Zealand, PTV Sports Live and Wicket TV worldwide. Our online cricket streaming is one of the best in the world and we do not place annoying ads on our streams. Our servers provide the buffer free experience to our visitors.